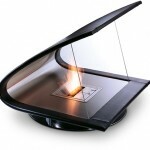 EcoSmart has an interesting concept on a new fireplace design which they call Zeta. 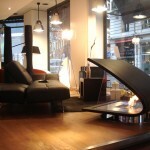 The fireplace was designed by John Dimopoulos,director of Geoform, Design & Architects Firm in Sydney. The Zeta is available in different leather colours including Ciocolatta, Nero, Ranch Hide and Latte. You will happy to know that the Zeta is fuelled by denatured ethanol, an environmentally friendly, renewable energy. Check out the product description below. A clever fusion of timber, leather and stainless steel, the fully portable Zeta sits on a brushed or polished stainless steel swivel base. 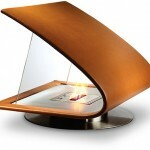 The plywood body of the fire is shaped from a high frequency heated aluminium mold into the perfect elliptical shape. 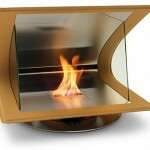 A thin stainless steel firebox insert is moulded to the internal face of the plywood, and the outer surface is upholstered in leather. 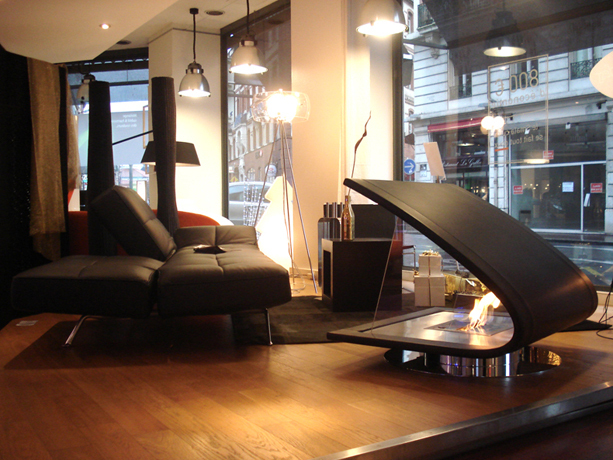 The toughened glass screens that sit either side of the fire enhance the stunning visual effect created by the flame. Next post: Video: Kanye Is Live From Paris!